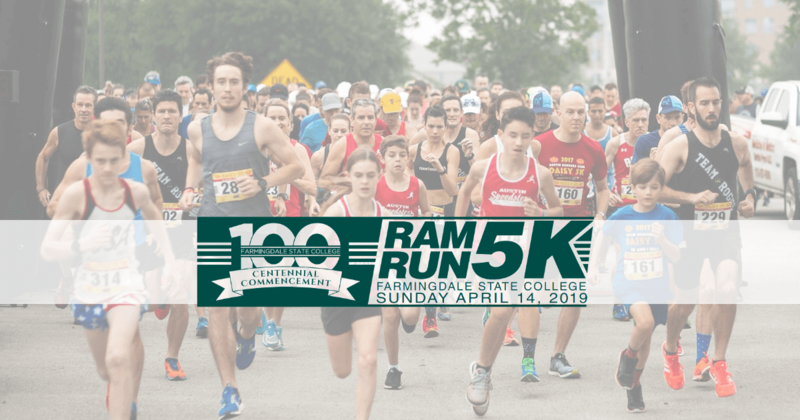 Join us for a fast, flat course on the campus of Farmingdale State College and celebrate the 100th Commencement of this iconic Long Island institution. Raffles, food, and festivities after the race! All proceeds go to benefit FSC student scholarships. Click HERE to see the 5K route! Professional Race Announcing by 'The Voice of Long Island' Terry Bisogno! Awards to Top 3 male and female overall and Top 3 male/female 19 and under, 20-29, 30-39, 40-49, 50-59, 60-69, and 70+ age groups.